Will Chace receives a new heart as the youngest heart transplant patient at St. Vincent hospital. 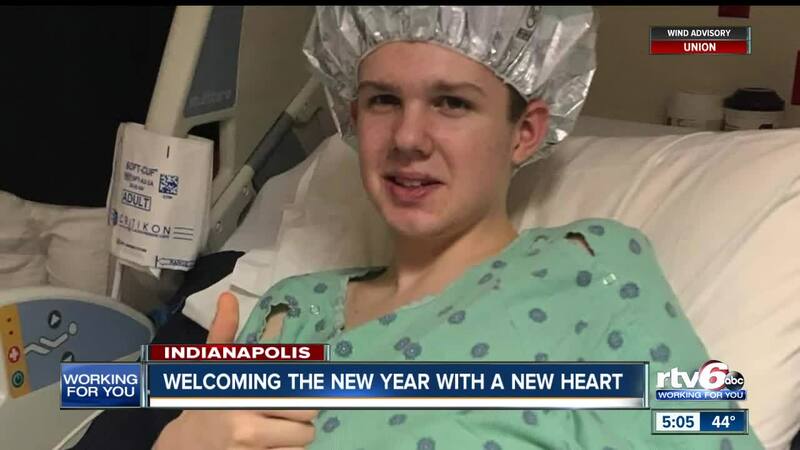 NOBLESVILLE — A local teenager receives the best gift of all — a second chance at life. The youngest patient ever to receive a heart from St. Vincent hospital, is ready to ring in the New Year with a new heart. 16-year-old, Will Chance, has had a tough two years. Following severe bouts of stomach pain which sent him to the emergency room, and a CT scan showing an enlarged heart, Will's life was forever changed. As a teenager, Will received a heart pump. A not-so-easy essential to deal with. Dr. Chris Salerno said Chance had a power cord that came out of his skin. "He had to carry batteries with him and a controller, and he had a power cord coming through the skin," Dr. Salerno said. "And as a teenager, that was probably a big body image thing for him." After two years of a heart pump and yearning to be a "normal" teenager, following research and discussion, Will entered the transplant list, to be free of confinement — and after only being on the list for two weeks — this September, he got his heart. "I was really shocked. I didn't think it would be that soon. I thought we had months, or maybe even up to a year, is what they said," Chance said. Chance has always kept high spirts throughout the last two years. "One thing that was really keeping my mind at ease when I went back was that no matter where I wake up, I was going to end up in a good place. If i was to wake up here in the hospital with a new heart, I'd be good. but if i woke up in heaven I'd be good too," Chance said. Dr. Tom Schleeter says that Chance's life is incredibly bright. "I can't even express how grateful I am, I mean, they gave the ultimate gift and sacrifice for it too," said Chance. Alive and able to thank the doctors and nurses who saved him — even his donor. The Chance family has a Facebook page that they invite people to follow for his new journey.